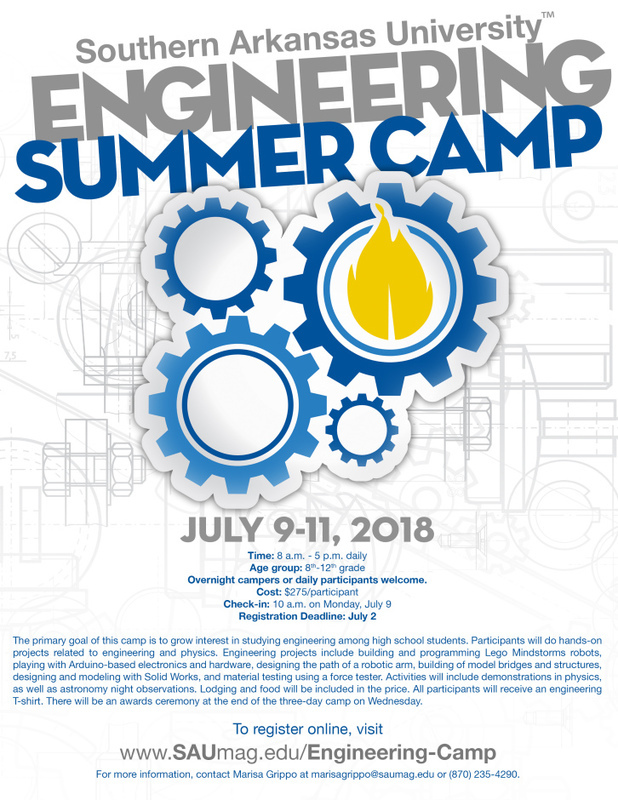 This summer, the College of Science and Engineering will be hosting two fantastic camps at SAU! 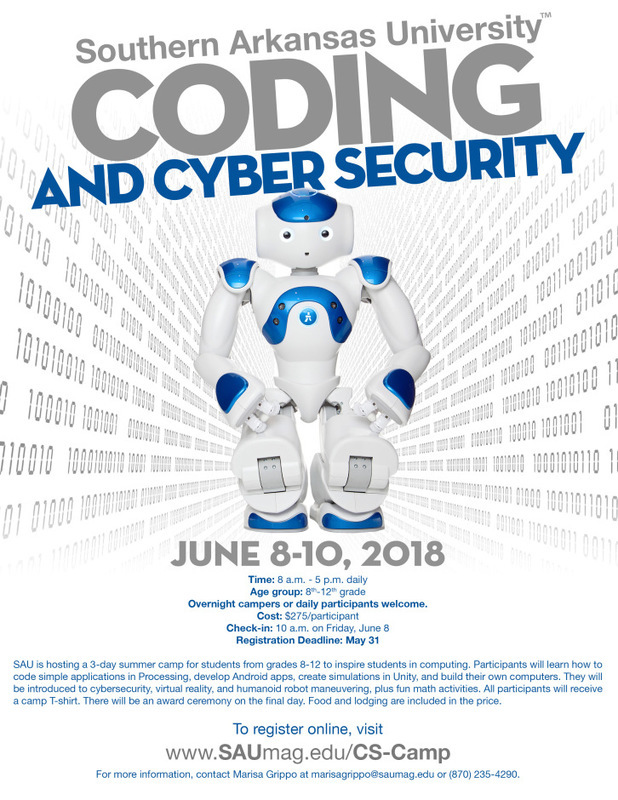 The first will be Coding and Cyber Security Camp on June 8-10, and the second will be Engineering Summer Camp on July 9-11. Both camps are open to 8th-12th grade students, and have options for overnight and day-only campers. 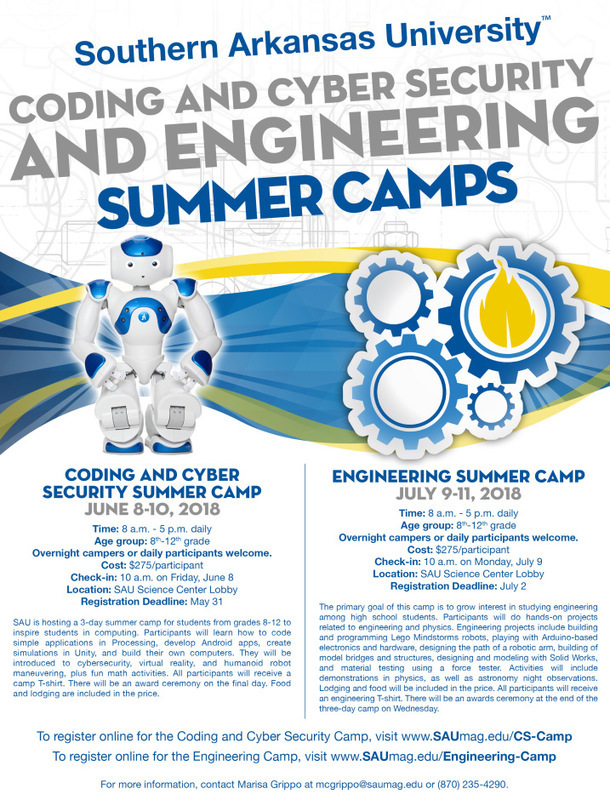 To register online, please visit https://web.saumag.edu/cs-camp/registration/ and https://web.saumag.edu/engineering-camp/registration/. For questions or more information, you can contact Marisa Grippo at mcgrippo@saumag.edu or 870-235-4290.